Running a home business takes a great deal of time and energy. Many new entrepreneurs are surprised to discover they’re working more, not less like they’d expected or hoped. However, working more hours isn’t always the key to success in a home business. As a mentor once told me, it’s not about the time you put in your business, it’s about the business you put in your time. The truth of the matter is that many newbie entrepreneurs spend way too much time on busy work and not enough on the tasks that make money. In fact, Pareto'a rule suggests that 80 percent of your results are coming from 20 percent of your efforts. That means 80 percent of your actions are a waste of time. Instead, you're better off discovering and focusing on the 20 percent that's generating income. Here’s how. 1) What tasks make money fast? When I make my daily plan, I always prioritize tasks that generate income the fastest. This will vary depending on your business. For a blogger, an email to the subscriber list will likely make more money than a new blog post. A freelancer will make more doing billable client work than networking on LinkedIn. Does that mean blogging and networking shouldn’t be done? No. What it means is that you should know what activities generate income now versus later. Make a list of all the tasks you do in a day and circle the ones that directly bring in income. 2) What tasks make money in the future? In the previous example, you identified tasks that make money, separating them from activities that support your business, such as blogging and networking. The next item to identify are the tasks that generate indirect income. Usually, these aremarketing tasks. What builds your email list so you can send offers? What brings in paying clients? Not only do you want to list the actions that generate traffic and clients/customers, but also, you need to determine which work and which don’t. If Twitter isn’t helping you build your list or sell your products or services, maybe you don’t need to tweet. 3) Schedule money-making tasks every day. It seems like a no-brainer that you’d focus on activities that generate income, but you’d be surprised at how easy it is to come to the end of the day having done a lot of stuff, but nothing that generates income. You’ve filed, networked, discussed marketing challenges in your mastermind group, read blogs related to your business, but none of these things make money now. They might provide you with future money (#2) or give you important insight, but those tasks should always come behind the ones that make money. While you may not want to email your list every day, you do want to take action on tasks that generate income every day. If you don’t have something you can do that will make money today (#1), you need to spend time on the top actions that generate traffic and clients/customers (#2). 4) Delegate tasks that need to be done, but not necessarily by you. Although doing everything is a great way to have total control over your venture and learn about all aspects of running a business, it’s also a waste of time. One of the first things you should invest in is virtual support. WorldOutsourcingSolutions offers list of activities that most entrepreneurs can outsource. Further, it has a daily time tracker you can use to determine what tasks you do each day and then suggests that you select three you need to do and outsource the rest. It can be difficult to let go of the reins, but it will free up time that can be used on money-making tasks (#1) or on personal pursuits, such as more time with the family. You can start small, hiring a virtual assistant to take care of the tasks that you don’t like or are difficult to do such as bookkeeping or website maintenance. 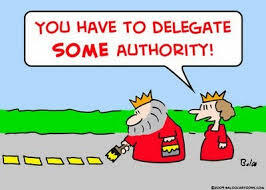 As you get used to delegating, you can pass more tasks to your VA. If you feel like your home business is taking over your life, it’s time to take a serious look at how you’re spending your time. Instead of wearing all hats and doing all tasks, focus on those that make money and work to eliminate or delegate those that don’t need to be done by you.